“Direct costs” are those that can be directly traced to a specific cost object. (As a reminder, a cost object is typically a product.) 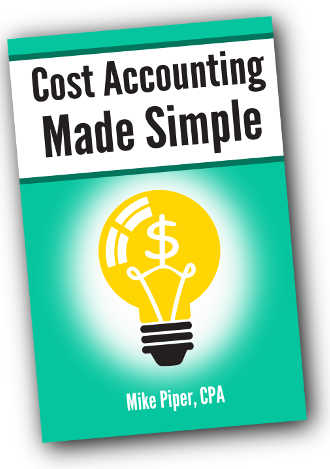 “Indirect costs” are those that cannot be directly traced to a single cost object. Because they cannot be traced directly to a specific cost object, indirect costs must instead be allocated to all of the products they are used to produce. EXAMPLE: For a manufacturer of rock climbing gear, the cost of nylon for climbing ropes can be directly traced — it’s obviously a cost of producing the ropes. It is a direct cost. Similarly, the aluminum used for carabiners is a direct cost because it can be directly traced as a cost of producing the carabiners. But what about the electricity that’s used to power the company’s manufacturing facility? The facility produces several different products, including climbing ropes, carabiners, and climbing harnesses. As a result, the cost of electricity cannot be directly traced to a single product. It is an indirect cost. The firm will have to use some sort of system to allocate the cost of electricity among the various products that the electricity is used to produce. To recap: Direct costs get directly traced. Indirect costs have to be allocated. Direct manufacturing costs are further divided into two categories: “direct materials” and “direct labor.” Direct materials include all materials that eventually become part of the finished product and that can be directly traced to a given product in an economical manner (e.g., the nylon used in a climbing rope). Direct labor includes the compensation for any labor that can be directly traced to a cost object. Of note: This includes not only wages/salary, but also other types of compensation such as health insurance, retirement benefits, and so on. Indirect manufacturing costs — also referred to as manufacturing overhead costs — includes three types of costs: indirect materials, indirect labor, and other manufacturing overhead costs. “Indirect labor” includes costs for labor that is used in manufacturing but which cannot be directly traced to a specific cost object. Supervisors for a plant (who oversee production for all of the company’s products) would be categorized as indirect labor. The cleaning crew that cleans the plant would also be indirect labor, as would the maintenance crew that handles repairs for the plant. “Other manufacturing overhead costs” — also referred to as “other indirect manufacturing costs” — is just what it sounds like: any other costs of manufacturing that cannot be traced to a specific cost object. For example, if a manufacturing facility is used to produce multiple products, most costs applying to the entire facility (e.g., rent, insurance, utilities) would be in the other manufacturing overhead category.